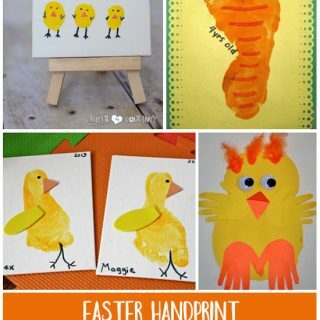 I just love when my kids bring home handprint art, don’t you? My son made this handprint butterfly poem keepsake when he was in kindergarten and it’s the sweetest thing! 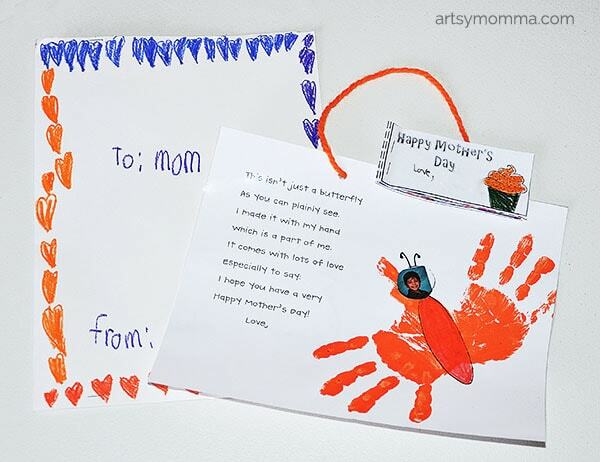 The kids made them for a surprise Mother’s Day gift along with DIY pens and coupon books. 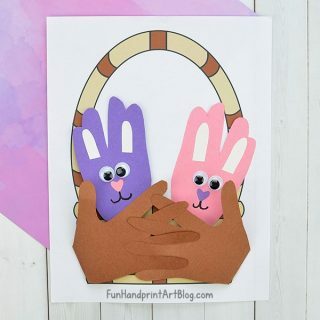 Paint the hands in a color of choice. Make one handprint on each side of the butterfly’s body. Color in the body or cover it with fingerprints. Let dry. Optional: Add a photo of the child’s face or leave it as is. Send the finished sheet through a laminator. Use a hole punch to make a hole near the top of each side. Add a piece of yarn or similar for hanging. Be sure to have the child write their name, age, and date either on the front or back side for remembering later on before laminating! 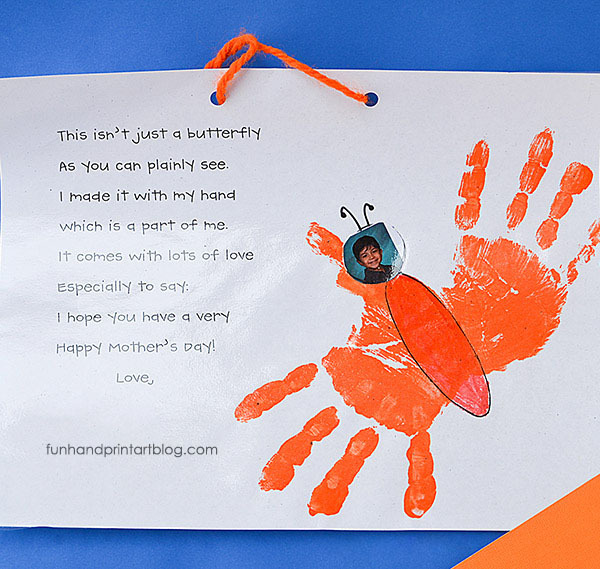 If you liked this Mother’s Day handprint butterfly poem keepsake, you will love this handprint heart craft with the sweetest saying written around it!